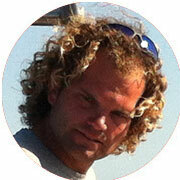 Andreu Julià loves artisinal fishing, sunrises at sea and he never misses the pearly razorfish fishing season. With this young sailor from Portopetro, you will have the privilege of fishing in the protected waters of Cabrera, where you can enjoy a relaxing swim as well as catching one of the best fish. On board his boat, which is nearly eight metres long, you can enjoy a wonderful excursion to s'Amarador or Cala Marmols.